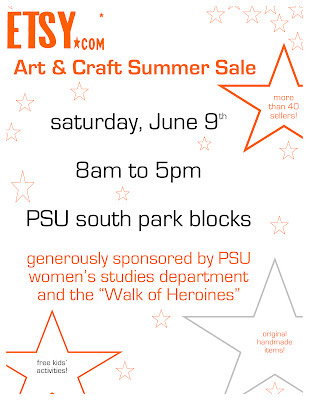 Melissa & I will be sharing a tent with Alex of Cecily Ink right next to the center of the park block next to the Farmer's Market at PSU on Saturday. Egads I hope the weather isn't too bad. Michael L. thinks Portlanders are tuff about rain anyway. Here's hopin'! Spread the word, yo.